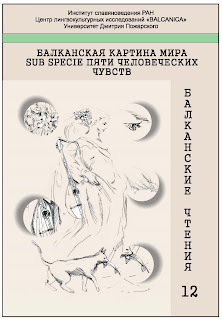 The twelfth Балканские чтения [Balkan Readings] conference, which took place in Moscow on 26-27 March 2013, had as its unifying theme the Balkan picture of the world from the perspective of the five human senses. Twenty-eight papers were presented, reporting on interdisciplinary studies in the areas of religion, mythology, magic, ritual, literature, folk poetry, folk music, drama, artistic performance, cuisine etc with a focus on sensory perception, cognition and language. A number of papers discussed linguistic evidence in support of the underlying unity of the five senses (synaesthesia). Papers differed in perspective: some were theoretically inclined or took a broad comparative perspective (S. M. Tolstaia, N. N. Kazanskii, T. A. Mikhailova, U. Dukova & P. Assenova, T. V. Tsiv’ian, D. Burkhart), others had elements of comparison (D. S. Ermolin, A. A. Novik, I. A. Sedakova, M. M. Makartsev) or dealt with aspects of a specific tradition - Ancient Greek (M. Evzlin, T. F. Teperik, L. I. Akimova, Ia. L. Zabudskaia), Modern Greek (O. V. Chekha, F. A. Eloeva, A. A. Novokhatko, K. A. Klimova, A. V. Tunin & V. A. Panov), Latin (A. V. Grosheva), Romanian (A. A. Romanova, I. Stahl, N. G. Golant), Albanian (A.V. Zhugra, M. V. Domosiletskaia), Bulgarian (G. V. Grigorov), Serbian (N. V. Zlydneva) and Slovene (M. Mencej). 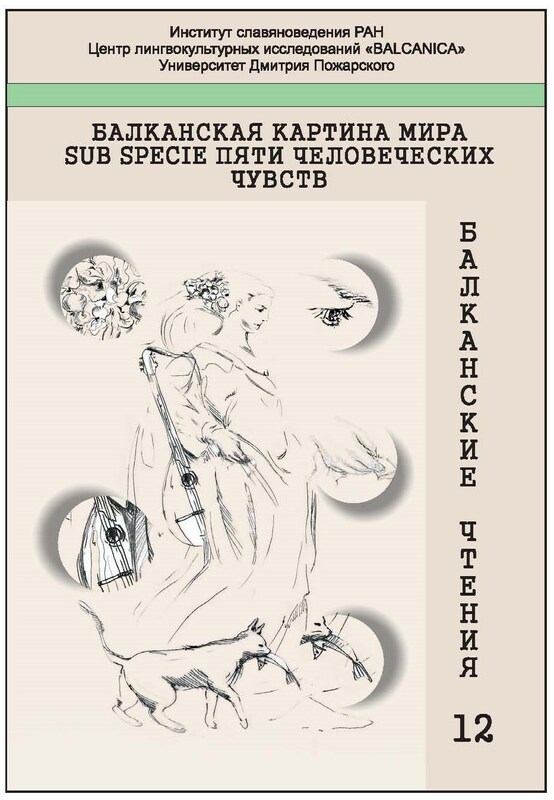 The conference proceedings have appeared in: Макарцев, М. М., И. А. Седакова, Т. В. Цивьян (eds.) Балканская картина мира sub specie пяти человеческих чувств. Москва: Институт славяноведения РАН, Центр лингвокультурных исследований «Balcanica», Университет Дмитрия Пожарского, 2013, 184 с. (Балканские чтения 12. Тезисы и материалы) ISBN 978-5-7576-0270-7.